- January saw application rates soar by a staggering 83.6% across the UK, suggesting that many job hunters are on the lookout for their next opportunity. With this in mind, CV-Library, the UK’s leading independent job site, sought to reveal what professionals value most in a job, with a good salary (58.1%) and friendly colleagues (48.2%) topping the list. Interestingly, salary was the driving factor for the majority of men (61.3%) but this was not the case for their female counterparts. In fact, friendly colleagues came top of the list for the majority (54.9%) of women, just slightly above a good salary (53%). What’s more, when comparing these factors with data from February 2016, the findings suggest that that there has been a shift in the career priorities of UK professionals. In fact, the job role and its responsibilities was the number one career priority for workers two years ago (54.4%), shortly followed by salary (45.6%). 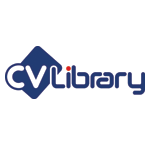 If you’re looking for talented professionals, check out CV-Library’s extensive CV database, or advertise your jobs now.